EternaSky - "What the mind can conceive and believe, the mind can achieve"
Owner of the Vertexual Foundry. Founded the Foundry in Mid 2007. Worked in the games industry, assisting some startup companies in their games approach previously. 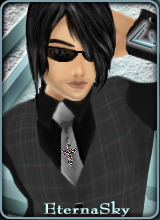 Currently working on IMVU 3rd party content and development. Firesaph - "Guitars Turn Me On"
Has Been Developing For nearly 3 years now. Started developing as she enjoys drawing and designing her own styles. Recently got into meshing and creating models - the 3D side of things. 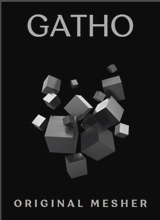 Gatho - "Gatho Products® Where the illusion becomes reality"
Gatho has been registered with imvu since 2006.
thats why he started to learn the 3ds max proper. After 2 years of developing he is able to create unique derivable meshes and poses. His domain resides in poses, furnitures and rooms. 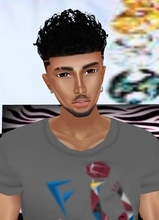 Joetastic - "Come get fantastic with Joetastic"
He is currently studying graphic designs at Tuskegee Unversity, and likes to use his talent on IMVU. He is a real laid back and fun person to be around. His hobbies included chilling with friends, going out places, and meeting new people.